This 1995 book is a general study of politics and society in the Fourth Republic and is founded on extensive primary research. It approaches the period in terms of successful conservatism rather than thwarted reform, maintaining that conservatism in France was a more subtle, dynamic force than has previously been appreciated. Not the preserve of any one single party, conservative ideas were often defended by institutions outside the realm of explicit politics altogether, such as business associations, civil service departments and the law courts. 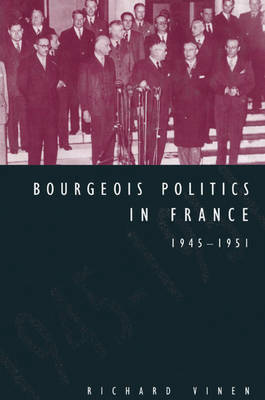 It is proposed that conservatives did not simply return to French politics in 1945 untouched by the events of the previous five years. The experiences of Vichy, the occupation and the purges produced new kinds of political synthesis, making conservatives more dynamic and receptive to change than their 'progressive' opponents.